How to set the alarm on your computer! – “This alarm is just right. It is to the point and very easy to use. I love the analog face on the dock. Being there on the Dock is a good place for it to be.”-Molly and Daniel from United States. 1- Does the clock float? 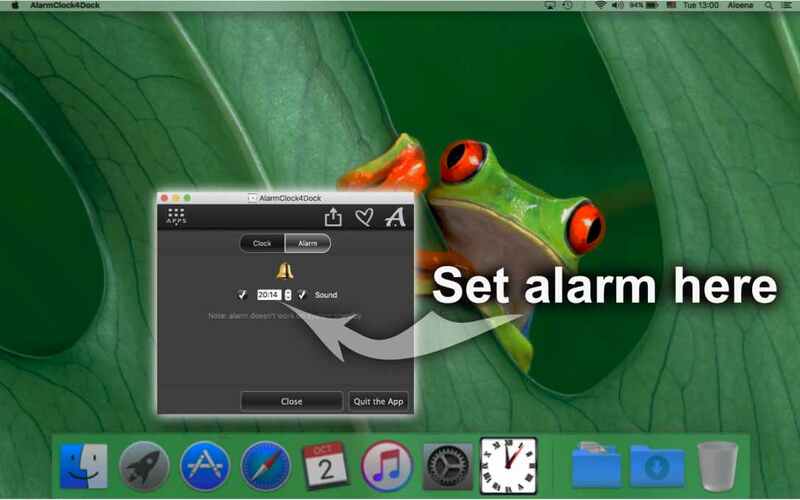 2- can multiple alarms be set such as each hour? 1 – Currently the clock has tow faces. 2 – Currently only one alarm can be set. 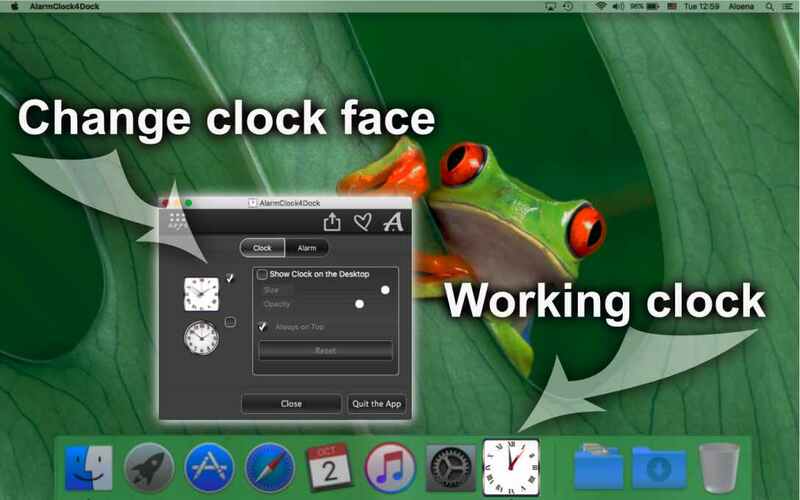 We can implement more clock faces and more numbers of alarms. We need to know if it is really wished by users. We would appreciate the feedback of every one what should we extend in the app. Thank you. Thank you Jan, for your feadback, we will do it in the next update louder. The new update has a fault in that it hangs up my Face Book pages. It will not let me “X” out of a picture when directed by FB to another window. I have to quit the app. to get back to the previous page. I am using a Mac using the current operating system. Thank you Preston, for this report. To be able to find out what happens we need to reproduce it in out environment. Please, provide us more detailed information. Do you mean FaceBook-Web page or it happens with all other Web-Pages? Is it possible that the clock on the desktop overlaps the the web-browser-window? 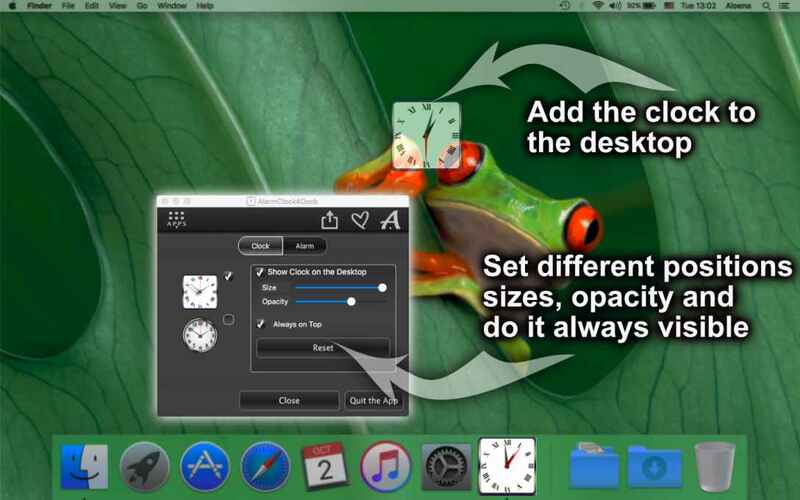 In this case you need to shift the the clock or the browser window or change the mode “Alway on top” in the clock settings.